George Gibbs, aged 24 and working as a labourer enlisted on 24 Feb 1915. He enlisted at the same time as two other soldiers from Upper Beaconsfield, James Berry and William John Knapton and they all embarked from Melbourne on board HMAT A14 Euripides on 10 May 1915 with the 23rd Battalion. Colonel George Knox was also on board the same ship. SERN 553. He served in Egypt, Gallipoli and the Western Front. George was in the C Company of the 23rd Battalion. He died on 7 Oct 1917 of multiple gunshot wounds received at Passchendaele, Ypres, Belgium. Death-Notice* 18 Oct 1917 GIBBS.—On the 7th October, 1917, of multiple gunshot wounds, at 26th General Hospital, France, Private George Gibbs, dearly beloved son of Mrs T H Cregan and the late G. Gibbs, Walpeup, late of Yarrawonga and Beaconsfield. [S2] Registry of Births Deaths and Marriages Federation Index Victoria 1889-1901 "#B18559." [S11] Newspaper - Argus 18 Oct 1917 p1. [S14] Newspaper - Ouyen Mail, 31 Oct 1917, p1. Harold Bailey had arrived in Australia shortly before the war and was working at Runnymede Guesthouse as a valet when he enlisted on 16 Feb 1915. He was 30 years old. He embarked from Melbourne on 17 Apr 1915 on board HMAT A20 Hororata with the 6th Battalion. He served in Egypt, Gallipoli and the Western Front. SERN 2058. He was wounded several times, suffered a gunshot wound to arm, neck and shoulder on 25 July 1916 and was transferred to England to recover. He returned to France on 15 Dec 1916. Nothing is noted in the military file about his service in 1917 until he suffered from a fever in Dec 1917 and was allowed leave to England until late January 1918. He suffered from traumatic septic abrasions to his face in May 1918 and rejoined his unit on 16 July 1918. He was shot in the back on 23th August 1918, and died of his wounds three days later. Probate (Will)* 24 Jul 1919 164/248. Soldier. Up Beaconsfield. [S35] Probate Records, PROV (Public Records Office Victoria), VPRS 28/P3, unit 923; VPRS 7591/P2, unit 602. [S83] Online index to the UK census "Class: RG12; Piece: 945; Folio: 88; Page: 13; GSU Roll: 6096055." [S83] Online index to the UK census "Class: RG13; Piece: 974; Folio: 86; Page: 2." [S65] Ancestry - various indices, 1911 census: Class: RG14; Piece: 423. [S11] Newspaper - Argus 24 Jul 1919, p10. [S2] Registry of Births Deaths and Marriages Federation Index Victoria 1889-1901 "#M4791." [S14] Newspaper - South Australian Register, 18 Aug 1891, p3. [S11] Newspaper - Argus 6 Jun 1905, p1. [S35] Probate Records, PROV (Public Records Office Victoria), 95/232. [S14] Newspaper - The West Australian. 6 Jun 1905, p5. 1 Sep 1913, THE LATE MR. CHARLES KIMBER. Tragic End. [S5] Registry of Births Deaths and Marriages Death Index Victoria 1921-1985 "#D13890 age 65 [par Charles KIMBER & Maria NANKERVIS]." [S63] South Australian Government. BDM Index South Australia "[Indexes] South Australian Birth 1842-1906, Cla 57 64." [S185] Property Titles. ; PROV (Public Records Office Victoria), C/T 2971-159 + C/T 2420-953 - Rose Evans of 21 Canterbury Road Albert Park Widow. C/T 2420-953 (GEM-E-9 states transfer by mortgagee). [S185] Property Titles. ; PROV (Public Records Office Victoria), C/T 2420-953 - Samuel Charles Brittingham of Christobel Cresent Hawthorn Architect - C/T 3914-685. [S11] Newspaper - Argus 10 Jun 1935, p1. [S122] Electoral Roll for Australia, 1922 "Brownwyn's address as Lalla Rookh." [S14] Newspaper - The Register (Adelaide), 1 Sep 1913, p8. [S196] Newspaper - Dandenong Advertiser and Cranbourne, Berwick and Oakleigh Advocate (Vic. : 1914 - 1918) "27 Jan 1916, p2." [S18] Newspaper - Pakenham Gazette "15 Mar 1918, p3." Death-Notice* 30 Sep 1963 EVANS.—On September 29, Gwilym Jack Russell of 18 Wilfred Road, East Ivanhoe, dearly loved husband of Belle, loved father of Evan, and father-in-law of Phyllis, aged 71 years. EVANS, G. J. R. (Jack).—On September 29, elder son of the late Captain W. R. and Mrs Evans, loving brother of Evan (deceased) and Bronwyn (Mrs R. A. D. Bell). EVANS, G. J. R.—A tribute of sincere affection from the Vicar, Westry and people of St. George's Church of England, East Ivanhoe. Well done, thou good and faithful servant. Enter thou into the joy of thy Lord. [S35] Probate Records, PROV (Public Records Office Victoria), VPRS 28/P4, unit 3109; VPRS 7591/P3, unit 524. [S2] Registry of Births Deaths and Marriages Federation Index Victoria 1889-1901 "#B9386." [S11] Newspaper - Argus 7 Jul 1923, p11. [S16] Newspaper - The Age 30 Sep 1963, p13. [S163] Electoral Roll for Australia, 1963 "Jack's occupation is now nil." [S149] Electoral Roll for Australia, 1949 "also their son Evan (RAN)." [S154] Electoral Roll for Australia, 1954 "also their son Evan (RAN)." [S2] Registry of Births Deaths and Marriages Federation Index Victoria 1889-1901 "#B23753." [S50] Miscellaneous Source, My Heritage Family Tree by David BELL - need to register to contact. [S35] Probate Records, PROV (Public Records Office Victoria), VPRS 28/P23, unit 98. [S124] Electoral Roll for Australia, 1924 "supplemental roll." Marriage* 23 Dec 1911 Spouse: Thomas Lombard Cotter. Colombo, Ceylon. 16 Feb 1885, Death of father: ROBERTSON-On the 13th inst., at his residence Montacute-house, Grey street, St Kilda, John Robertson, youngest son of the late Duncan Robertson, of Englefield, age 34. The Friends of the late John Robertson, Esq., late of Wargam, N. S. W., are informed that his remains will be interred in the Boroondara Cemetery. 18 Nov 1920, DIVORCE COURT. 18 Nov 1920, DIVORCE COURT. Before Mr. Justice Schutt.—Wednesday, 17th November. 1 Dec 1923, THURSDAY, DECEMBER 6. At Three O'Clock, AT SCOTT'S HOTEL. MELBOURNE. About 7 Miles from BEACONSFIELD and 3 from UPPER BEACONSFIELD. 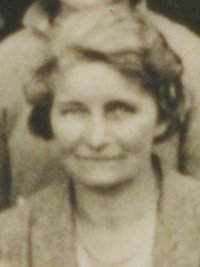 On Account of the Estate of Mrs. V. J. Cotter, Deceased. SPLENDID HEALTHY CLIMATE, BEAUTIFUL SCENERY, OVERLOOKING DANDENONG RANGES, BERWICK, THE BAY, and ALL the SURROUNDING DISTRICTS. TO BE SOLD ON GOOD TERMS. To Tourists, Week-enders, and Others. That commodious weatherboard bungalow mountain home, containing 10 rooms. in good condition, all lined and panelled throughout; stone fireplaces, fly-proof doors and windows, 3 pantries, good bath room, kitchen, and sleep out; 14ft. verandah, all lined. This property is situated in a beautiful position, overloking some of the most magnificent scenery to be found in Victoria. Situated about seven miles from Beaconsfield and three miles from Upper Beaconsfield, and containing 59 acres. This property is situated on the main road from Upper Beaconsfield to Gembrook, und is an ideal mountain home, and my instructions are to sell. Solicitors, Messrs. Hamilton, Wynne, and Riddell, 121 Collins street, Melbourne. step-father of Jean ROBERTSON: Agar Wynne (1850-1934), politician, was born on 15 July 1850 in London, son of Edward Agar Wynne, builder, and his wife Sarah Maria, née Palmer. The family migrated to Victoria in his boyhood. Educated at Melbourne Church of England Grammar School, Agar represented the school in football and matriculated in 1868. Having completed the articled clerk's course at the University of Melbourne, he was admitted as an attorney on 7 July 1874 and entered a succession of legal partnerships, initially with (Sir) Henry Cuthbert. In Melbourne on 10 November 1886 he married with Australian Church forms a widow with two children, Mary Jane Robertson, née Smith (d.1889). On 21 February 1896 at the Collins Street Independent Church he married a widow with three children, Annie Dudgeon, née Samuel. Both a 'country-man and city man', in politics Wynne was not exactly a tory and not exactly a liberal. In 1888 he was elected to the Victorian Legislative Council as a member for Western Province. He held this seat until he resigned in 1903, serving as postmaster-general and solicitor-general in 1893-94 in (Sir) James Patterson's administration, and as solicitor-general in 1900-02 in Sir George Turner's and (Sir) Alexander Peacock's ministries. Wynne's outlook changed little: his early commitment to small government, national development, decentralization, and the promotion and proper regulation of business and industry remained prominent themes in his parliamentary speeches; more liberal in complexion were his support for old-age pensions and his advocacy of women's suffrage. In 1906 Wynne won the Federal seat of Balaclava as an Independent Protectionist. He gave most of his attention in the House to issues involving commerce and economic development, often citing his legal and business experience in support of his arguments. Swept up in the Fusion of 1909, he became postmaster-general (June 1913–September 1914) in (Sir) Joseph Cook's ministry, but, by mid-1914, had decided to retire. Melbourne Punch attributed his decision to frustration with his inability to make his department run on sound business lines. For Wynne, another three years out of parliament was enough. In 1917 he stood successfully for the Victorian Legislative Assembly seat of St Kilda. Once more, his energy and competence elevated him to ministerial rank, but no further. Reputed to have been a contender for the premiership, he was attorney-general, solicitor-general, minister of railways and a vice-president of the Board of Land and Works during the four months in office (November 1917–March 1918) of (Sir) John Bowser's 'economy' government. The need for restraint in public spending exercised Wynne's mind more as he aged; before his final retirement from politics in 1920, he warned of dark days ahead. His long-standing commitment to breaking up the great estates and seeing 'bone and sinew settled on the country' did not prevent Wynne from acquiring Nerrin Nerrin, a 7297-acre (2953 ha) property near Streatham. There he established his country home, ran merinos, raised thoroughbreds and created a sanctuary for wildlife. He had other pastoral interests in Victoria and Queensland. In the city he was a founder of the Argus and the National building societies, chairman of the Colonial Mutual Fire Insurance Co. Ltd, Dennys Lascelles Ltd and Melbourne Electric Supply Co., and had interests in mining and real estate. He had practised law until 1910. Some 5 ft 6 ins (168 cm) tall, fine-featured and balding, Wynne sported a bushy moustache, kept dark at the tips by cigar smoke. Occasionally severe in manner, he was a tolerant Anglican who valued friendship and enjoyed life to the full. His first love was racing and from 1905 he was a committee-member of the Victoria Racing Club. His horses won the Australian Cup in 1903 and 1908, but his hope for a Derby winner at Flemington was never realized. He was sometime president of the Melbourne Swimming and St Kilda Yacht clubs, and of the Melbourne and Athenaeum clubs. [S1] Registry of Births Deaths and Marriages Pioneer Index Victoria 1836-1888 "#B5822." [S11] Newspaper - Argus 28 Jan 1881, p1. [S1] Registry of Births Deaths and Marriages Pioneer Index Victoria 1836-1888 "[par Agar WYNNE & Mary Jane SMITH]." [S11] Newspaper - Argus 1 Jan 1912, p1. [S22] Victorian Government. BDM Index Victoria (online) "[no death place on disk], but South Yarra online." [S11] Newspaper - Argus 18 Aug 1923, p17. [S35] Probate Records, PROV (Public Records Office Victoria), VPRS 28/P3, unit 1417; VPRS 7591/P2, unit 690. [S11] Newspaper - Argus 16 Feb 1885, p1. [S11] Newspaper - Argus 18 Apr 1889, p1. [S11] Newspaper - Argus 17 Jul 1909, p16. [S11] Newspaper - Argus 18 Nov 1920 p9. [S16] Newspaper - The Age 18 Nov 1920, p10. [S11] Newspaper - Argus 1 Dec 1923, p5 also 6 Dec 1923 p2 (shorter ad). G. A. Richardson, Personal Reminiscences (notes, held on ADB file). Marriage* 23 Dec 1911 Spouse: Victoria Jean Robertson. Colombo, Ceylon. [S185] Property Titles. ; PROV (Public Records Office Victoria), C/T 2580-876 - Thomas Lombard Cotter - see 3707-233. [S185] Property Titles. ; PROV (Public Records Office Victoria), C/T 2773-546 - Thomas Lombard Cotter - see 3707-233.
with his brother James Laurence Cotter aged 13." [S14] Newspaper - The London Gazette, 25 May 1906, p3660. [S16] Newspaper - The Age 5 Apr 1915, p6. [S19] Newspaper - Berwick Shire News and Pakenham and Cranbourne Gazette "15 Nov 1916, p3." Death-Notice* 5 Jul 1966 KEEBLE.—On 4th July, at hospital, Penola, Edith Ball, of Church Street, Penola, and formerly of Berwick, Victoria, loved wife of the late Frederick Percy, loved mother of Russell, also Fred (deceased). Aged 77 years. [S250] General Register Office for Scotland Indexes "Statutory registers - Births." [S4] Registry of Births Deaths and Marriages Great War Index Victoria 1914-1920 "#M2274." [S185] Property Titles. ; PROV (Public Records Office Victoria), C/T 4191-026 - Frederick Percy Keeble died 29 May 1925. Probate granted to Edith Ball Keeble of "Braeside" Upper Beaconsfield Widow. [S185] Property Titles. ; PROV (Public Records Office Victoria), C/T 4191-026 - Edith Ball Keeble of "Braeside" Upper Beaconsfield Widow. [S185] Property Titles. ; PROV (Public Records Office Victoria), C/T 4191-026 - May Mafferzoni Married Woman and Bert Mafferzoni Gentleman both of Beaconsfield - proprietors as tenants-in-common in equal shares - C/T 6309-789. [S63] South Australian Government. BDM Index South Australia "Relative Name: Frederick Percy KEEBLE [DH]." [S16] Newspaper - The Age 5 Jul 1966, p16. [S163] Electoral Roll for Australia, 1963 "Casterton District." Frederick Percy Keeble enlisted on 11 Aug 1915, aged 21 years, working as a groom. SERN 88. His next of kin was his sister at the Grosvenor hotel in Felixstowe, England. He was assigned to the Remount Unit 1, 1st Squadron and they embarked from Melbourne on board Transport A67 Orsova on 12 Nov 1915. He was a driver in the 12th Artillery Brigade, and returned to Australia on 31 Jul 1918. Death-Notice* 30 May 1925 KEEBLE.—On the 29th May, at Braeside Beaconsfield Upper the dearly beloved husband of Edith B Keeble, and loving father of Russell and Freddy. KEEBLE.—The friends of the late Mr. FREDERICK P. KEEBLE are respectfully invited to follow his remains to the place of interment, Berwick Cemetery. [S9] Free BMD. Index. Online @ https://www.freebmd.org.uk/ "Sep Q [Whitechapel] 1c 327." Note: This land is along Harpfield Road, connecting to the boundary of GEM-D-39A. [S11] Newspaper - Argus 30 May 1925 p17. [S35] Probate Records, PROV (Public Records Office Victoria), 202/145. Farmer. [S83] Online index to the UK census "Class: RG13; Piece: 1791; Folio: 22; Page: 12." [S11] Newspaper - Argus The Argus (Melbourne, Vic. : 1848 - 1957), Thu 4 Jun 1925, p18. VPRS 7591/ P3 unit 283, item 546/424. [S5] Registry of Births Deaths and Marriages Death Index Victoria 1921-1985 "#D11270 age 36." [S11] Newspaper - Argus 4 Jan 1923 p1. [S11] Newspaper - Argus 26 Jul 1934, p4S. David Hedrick Thomson enlisted when he was 21 and working as a farrier. He had been with the 13th Light Horse prior to enlistment. SERN 6755. His unit embarked from Melbourne on 18 Nov 1915 on board HMAT A18 Wiltshire. He was a gunner with the 4th Artillery Brigade (12th Battery). He returned to Australia on 22 Dec 1918. Death-Notice* 6 Feb 1956 THOMSON.-On February 5, at Melbourne, David Hedrick, beloved husband of Alma May, and loving father of Royce, David, and Audrey (Mrs. Kevin Arnott), aged 62 years. -In God's care. [S2] Registry of Births Deaths and Marriages Federation Index Victoria 1889-1901 "#B17394." [S185] Property Titles. ; PROV (Public Records Office Victoria), C/T 3213-503 - David Hedrick Thomson of Elmslea Upper Beaconsfield Orchardist. [S185] Property Titles. ; PROV (Public Records Office Victoria), C/T 4133-533 - David Hedrick Thomson of Elmslea Upper Beaconsfield Orchardist. [S185] Property Titles. ; PROV (Public Records Office Victoria), C/T 4696-030 - David Hedrick Thomson of Elmslea Upper Beaconsfield Orchardist. [S5] Registry of Births Deaths and Marriages Death Index Victoria 1921-1985 "#D1531 age 62." [S11] Newspaper - Argus 6 Feb 1956, p10. [S185] Property Titles. ; PROV (Public Records Office Victoria), C/T 4133-533 - David Hedrick Thomson died on 5 Feb 1956. Letters of Administreation of his estate have been granted to Alma May Thomson of Upper Beaconsfield Widow. [S185] Property Titles. ; PROV (Public Records Office Victoria), C/T 7181-098. [S185] Property Titles. ; PROV (Public Records Office Victoria), C/T 4133-533 - not listed as owner, but Alma May Thomson of Upper Beaconsfield Widow was the administrator of the estate and it was not transferred to Royce Thomson until 1965. [S185] Property Titles. ; PROV (Public Records Office Victoria), C/T 7181-098 - Alma May Thomson of Upper Beaconsfield Widow and Audrey Elsie Arnott of Moore's Road Clyde Married Woman - proprietors as tenants in common in equal shares. Title dated 29 Oct 1965 - C/T 8599-857. [S185] Property Titles. ; PROV (Public Records Office Victoria), C/T 4696-030 - Royce David Thomson of Upper Beaconsfield Orchardist. TRISTANIA, WALL NICHE SINGLE - PARTIAL CR'S, WALL 2BB NICHE 706. [S14] Newspaper - Weekly Times, 24 Nov1917, p32. [S14] Newspaper - Weekly Times, 4 May 1918, p32. [S185] Property Titles. ; PROV (Public Records Office Victoria), C/T 4133-533 - Royce David Thomson of Upper Beaconsfield Orchardist is now the proprietor. [S35] Probate Records, PROV (Public Records Office Victoria), VPRS 28/P19, unit 309; VPRS 7591/P15, unit 75. Marriage* 1953 Spouse: Shirley Mae Andrews. (Mentioned) Village Bell Dec 1983 The article reads: STATE AWARDS FOR BRAVERY. Family and friends were saddened by the sudden death of Royce Thomson recently. He was 66 years of age when he died and had enjoyed good health until quite recently when he was diagnosed with diabetes. Until then, he had not seen a doctor for 30 years. Born in Berwick, Royce lived in Upper Beaconsfield all his life on the family farm in Alber Road, the only son of Alma and David Thomson, orchardists. He went to the Upper Beaconsfield Primary School when it was just one classroom, and later attended Dandenong High School as it was the closest. He left school at 15 to work on the orchard originally established by his grandfather. He married Shirley Andrews in 1953 and together they raised a family of four sons. They lived simply and worked hard on the farm. Changing economic circumstances led Royce to let the orchard go and he took up as a fencing contractor, which he did for 30 years. Nicknamed the “Phantom Fencer” as no one knew where he was, he learned his trade from Chris Hunt and over the years fenced many properties in Upper Beaconsfield. His son Steven also worked with Royce in the fencing business. Tragedy struck the family in 1983 when bushfire came through Upper Beaconsfield. The fire caught Royce’s wife Shirley, her mother and a neighbour as they tried to escape in a car and they died of smoke inhalation. Royce tried to rescue them but to no avail. His efforts were recognised by the Royal Humane Society of Australia with a silver medal for bravery. The Thomson family home and possessions were destroyed, together with irreplaceable mementoes and historical items as Royce had hoarded everything. Royce had taken part in many local and community organisations, including Montuna Golf Club and Upper Bcaconsfield Cricket Club were he played as an all-rounder He was a member of the Upper Beaconsfield Returned Services League having served in the Navy 1950-52 after getting a friend to sign his National Service papers. He served the Scouting movement for 20 years and the youth of the area benefited from his interest and old-fashioned values. Son Steve has also followed his father with 20 years in Scouting. He liked cooking and preserving and was famous for his pickles. He enjoyed fishing, catching up with mates at the Pine Grove and brewing his own beer, which he called “Gazunda Lager” for obvious reasons! He had a favourite word that he had made up - plerfoggerating - which meant departing with panache. He was a good tradesman with his fencing, but not so hot with the accounts. He sent clients their accounts on any available paper. One that he had written was on the back of a lunch bag. This client who was at the time working in London as Australian Trade Commissioner sent back a reply on an English pie wrapper. mother died with her in Ash Wednesday Fire: #D06707 age 74 [par William ASHFORD & Leah Clara]." [S15] Newspaper - Village Bell "035-1983, p15." [S15] Newspaper - Village Bell "054-1987, p13 by Cnr Peter Meeking." [S185] Property Titles. ; PROV (Public Records Office Victoria), C/T 4696-030 - C/T 9956-675 - Shire of Pakenham. [S13] Newspaper - Herald Sun "7 Jun 1999 - viewed online 10 Nov 2013." [S15] Newspaper - Village Bell "Issue 129, Aug 1999, p9 Edited by Helen Smith from Ron Thomas’ service of thanksgiving for the life of Royce David Thomson." [S185] Property Titles. ; PROV (Public Records Office Victoria), C/T 4133-533 - Royce David Thomson died on 4 Jun 1999. Letters of Administration of his estate have been granted to Phillip Craig Thomson of 52 Princes Av Longwarry. 12 Dec 1932, GOLDEN WEDDING. [S35] Probate Records, PROV (Public Records Office Victoria), VPRS 28/P3, unit 3330; VPRS 7591/P2, unit 1098. [S1] Registry of Births Deaths and Marriages Pioneer Index Victoria 1836-1888 "#M5468 gives birthplace Glasgow." [S1] Registry of Births Deaths and Marriages Pioneer Index Victoria 1836-1888 "#M5468." [S11] Newspaper - Argus 22 Dec 1882, p1. DAVID THOMSON GEMBROOK 16 D 19--2--30. 1877 - 1883. [S185] Property Titles. ; PROV (Public Records Office Victoria), C/T 1480-942 - David Thomson of Beaconsfield Labourer. [S185] Property Titles. ; PROV (Public Records Office Victoria), C/T 2255-907 - The Mercantile Bank of Australia Limited to David Thomson of Elmslea Upper Beaconsfield Gentleman - C/T 3213-503. [S185] Property Titles. ; PROV (Public Records Office Victoria), C/T 3213-503 - David Thomson to The Mercantile Bank of Australia Limited (in liquidation). [S185] Property Titles. ; PROV (Public Records Office Victoria), C/T 1123-458. [S185] Property Titles. ; PROV (Public Records Office Victoria), C/T 3213-503 - David Thomson to William Peacock. [S185] Property Titles. ; PROV (Public Records Office Victoria), C/T 2255-907 - The Mercantile Bank of Australia Limited to David Thomson - C/T 3920-928. [S185] Property Titles. ; PROV (Public Records Office Victoria), C/T 1683-577 - to David Thomson of "Elmslea" Upper Beaconsfield Gentleman - C/T 4133-533. [S185] Property Titles. ; PROV (Public Records Office Victoria), C/T 1683-577 - to David Thomson of Elmslea Upper Beaconsfield Gentleman - C/T 4696-030. [S81] Land Records, Parish Maps & Council Rate Books. ; PROV (Public Records Office Victoria), VPRS 5357/P0000/3600 - 19681/47.49. DAVID THOMSON. GEMBROOK 39B 39C. 95--3--15. 1884 - 1928. [S185] Property Titles. ; PROV (Public Records Office Victoria), C/T 5384-602 - David Thomson of Upper Beaconsfield Retired Banker. [S5] Registry of Births Deaths and Marriages Death Index Victoria 1921-1985 "#D1627 age 80 [par Unknown & unknown HEDRICK]." [S5] Registry of Births Deaths and Marriages Death Index Victoria 1921-1985 "#D540 age 95 [par David THOMSON & Lorna ROBERTSON]." [S11] Newspaper - Argus 17 Jan 1940 p8. [S185] Property Titles. ; PROV (Public Records Office Victoria), C/T 2760-000 - David Thomson of Beaconsfield Upper Orchardist. [S185] Property Titles. ; PROV (Public Records Office Victoria), C/T 2760-000 - David Thomson died on 16 Jan 1940. Probate of his will has been granted to Dorothy Frances Bredin of Upper Beaconsfield Married Woman. [S185] Property Titles. ; PROV (Public Records Office Victoria), C/T 2760-000 + C/T 1123-458 - Dorothy Frances Bredin of Upper Beaconsfield Married Woman. [S185] Property Titles. ; PROV (Public Records Office Victoria), C/T 5384-602 - Michael Decesare Valentino of Dewhurst Farmer. 4-719-A Thomson D. M 95 17/01/1940 1038. [S12] Newspaper - South Bourke and Mornington Journal 9 May 1912, p4. [S11] Newspaper - Argus 18 Aug 1917, p3. [S11] Newspaper - Argus 12 Dec 1932, p1. Death-Notice* 27 Feb 1939 THOMSON -On the 24th February 1939 at private hospital Malvern, Euphemia beloved wife of David Thomson (Upper Beaconsfield) aged 80 years. [S1] Registry of Births Deaths and Marriages Pioneer Index Victoria 1836-1888 "#B9092 [par James HEADRICK & Mary Erskine INNES] - also registered #B1884/10573 [par James HEADRICK & Mary Erskine INNES]. Father died 1863/8349 age 30 [par William HEADRICK] born Stirlingshire. Parents had married in 1861/2934." [S11] Newspaper - Argus 27 Feb 1939 p8. Douglas George Thomson enlisted on 1 Nov 1918, but did not see any active service. [S2] Registry of Births Deaths and Marriages Federation Index Victoria 1889-1901 "#B487." [S22] Victorian Government. BDM Index Victoria (online) "#D4968 - born Ballarat." [S24] PROV (Public Records Office Victoria), no inquest for Douglas THOMSON in 1959. [S3] Registry of Births Deaths and Marriages Edwardian Index Victoria 1902-1913 "#B16326." [S5] Registry of Births Deaths and Marriages Death Index Victoria 1921-1985 "birthplace Melbourne." [S35] Probate Records, PROV (Public Records Office Victoria), VPRS 28/P13, unit 180. Marriage* 1953 Spouse: Royce David Thomson.